If you are a sighted cyclist and want to be on the front end of a tandem, please get in touch, that way we can put you in touch with vision impaired cyclists in your area. Likewise if you want to be on the back of the bike, also get in touch, we will connect you with a front end! Please check back regularly for new updates. The Tandem Bike Australia website is dedicated to assisting all tandem riders as well as Vision Impaired Cyclists in any way it possibly can. Some resources to help you find more information have been added below, and the site will be updated as more is received or found. If you come across any websites or information that you think may help, please e-mail it via the address on the Contact Us page. TANDEM BIKE RIDING FOR VISION IMPAIRED CYCLISTS. Get out and about, clear your head, get the blood circulating and meet interesting people? Get to cycle through different places in Canberra : lakes, hills, suburbs, parks - on the excellent cycle path network? Exsight Tandems was started in April 2008. From the humble beginnings of one blind person getting a group of sighted cyclists to ride with him on a tandem, the group has grown rapidly to include a regular roster of able cyclists riding with a group that includes blind, low vision and people with other disabilities. CCBUG RidesAssist program offers tandem rides predominantly for people living with vision impairment, but can also support people living with other disabilities (restrictions apply). Our pilots are either Bicycle NSW accredited ride leaders or just experienced riders, all of whom have passed our pre-requisites (minimum number of tandem rides; tandem ride with experienced pilot on back; tandem ride with our RidesAssist coordinator; leading the blind training; Bicycle NSW membership - for insurance). Our RidesAssist rides are part of our normal rides program, where the tandem(s) form just part of the usual group ride. This provides a great opportunity for the stokers to mingle with our regular riders, both during the ride and at our (mandatory!) coffee stop. And for our regular riders to learn more about people living with a disability. Our RidesAssist rides are denoted by the "RA" in the ride name, both on our FB page and our website calendar. Booking are essential, and some of our RA rides are only for experienced stokers. Initial booking is via email, with subsequent bookings via our FB group or phone call. We currently have 2 very regular vision impaired riders, and several other irregular ones. One of the regulars has cycled with us on 100km rides on several occasions (after starting with 25km rides), and the other is currently up to 45km rides and extending. We have several tandem bicycles available, from flat-bars to a full road bike. I also personally have a tandem setup specifically for me as a pilot, which I often use for RidesAssist and sometimes for my family or friends. Cycle for fun; cycle for your health; cycle for transport; cycle for the environment. This is a group for Tandem bicycles in Australia. Where can you get it, etc. Anyhow join in and add your two bobs worth, it would be good to have some more information about Tandems, their owners, the rides they go on and anything else you like. 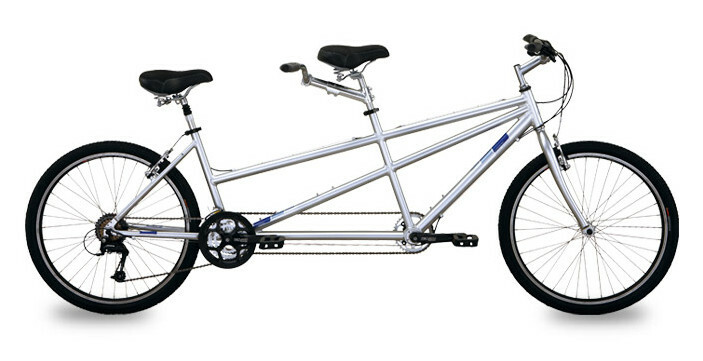 Have you ever wanted to ride a tandem bicycle? Have you ever wanted to ride 30% faster than you usually do? Well here is your chance. The Darwin Cycling Club has the bicycles and members who are vision impaired who are keen to get out and ride; however, they need to have a captain! There are two Cannondale road tandems each located at members homes, and three track tandems located at the velodrome. They were purchased over the years with various grants, donations and fundraising activities for a vision-impaired cycling program or could be used for cyclists with other disabilities. Currently there are two members of the club who are always looking for someone to ride with them. "Tandem Bike Victoria is an organisation that has been established by a group of blind/vision impaired persons to manage tandem bike riding events for blind/vision impaired people. Tandem Bike Victoria (TBV) runs a series of tandem bike rides in various location around the Melbourne Metro area as well as in regional Victoria. Rides vary in distances from 30 km to around 100 km"
Western Australia Tandem Cycling Advisory Council. The purpose of the WA Tandem Cycling Advisory Council (WATCAC) is to promote the integration of blind and vision-impaired cyclists into the cycling mainstream. 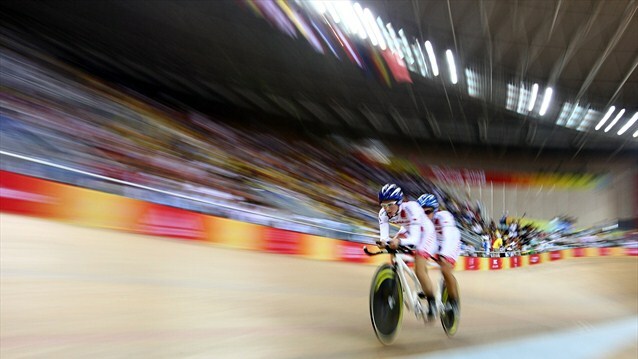 WATCAC organises recreation rides, velodrome sessions. This website is a place for students and teachers to learn more about Australian Paralympians, the Paralympic movement and people with disabilities in general. 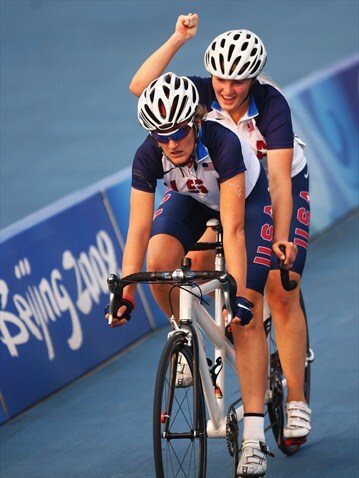 A tandem bicycle is a form of bicycle designed for the purpose of being ridden by more than one person. While the most common form of the tandem bicycle seats just two people, the largest tandem bicycle seats up to thirty-five people and is over 65 feet long. Including our much anticipated new Beach Road Cycles custom tandems! We hire Tandems. We hand-build folding and travel bicycles that fit your body and your style. We take time to get to know you and your goals, then create a Bike Friday that will grant you the freedom to live your adventure. Santana Tandems custom built and designed. The Ultimate Tandem Experience. Founded by tandem enthusiasts in 1976, Santana has had the same focus, passion and ownership for over three decades. Recognized as the World’s #1 builder of high performance tandems. Pegasus Tandems was established in 2005 to design and import some quality tandems for the Australian market. They also have a trailer that holds seven tandems for use to promote events in Victoria for VIPs.